Chambers Escape Games brings the most immersive, high-tech, and exciting escape game experiences from around the world straight to Honolulu! Test your wits, skill, and teamwork as you race against the clock in the most exhilarating real-life adventure you will ever play! Whether you're looking for a premium live-action escape room or a team-based virtual reality game — we've got something for you! Simply choose a game, select the date and time you want, and prepare for the escape room experience of a lifetime! We offer two types of escape room experiences: Live-Action and Virtual Reality escape games. Whatever your preference, you are guaranteed an immersive adventure unlike anything you've seen! Free-roam virtual reality games, transporting you to distant virtual worlds! transporting you to distant virtual worlds! 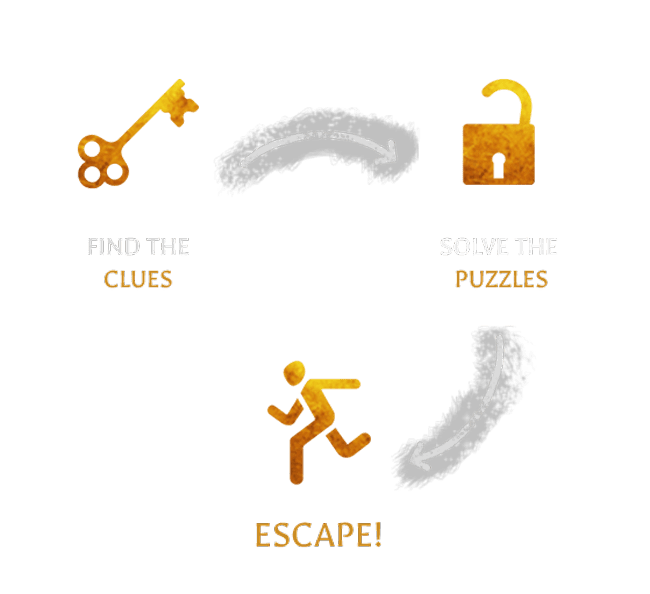 We are entrepreneurs, game designers, and enthusiasts – and we’ve spent countless hours developing the most immersive, high-tech, and advanced escape games that exist today! Whether you’re an escape room veteran or a brand new player, prepare for an experience unlike ANYTHING else out there. Our games are simply the best. Period. If you’re looking for a new adventure, or just tired of staring at screens, grab some of your favorite people and combine skills for a group experience you’ll be talking about for days! Team-building has never been so fun! Test your teamwork, organization, and communication in an action-packed 60 minutes. After playing one of our games, your team will never work together the same way again! Whether you are traveling by yourself or with a group, Chambers Escape Games is a must-stop destination in Honolulu. Explore the beautiful Kaka’ako neighborhood and experience one of the island’s hottest attractions! Want to impress your date? Skip the movie and see how well you work together with 60 minutes of heart-pounding fun and excitement! Best ice-breaker EVER. There is no pause button and no respawning in this game – this is live. Do you have what it takes to go beyond the screen and be the hero of your own adventure? Birthdays, celebrations, special occasions of all shapes and sizes… Make your event stand out! Get in touch for special deals and custom group packages! Are these like video or computer games? Not quite. All of our games are social interactive experiences, meant to be played live with other people! Even our Virtual Reality games are played together in the same virtual and physical space with your group! Are these games disorienting or physically demanding? Our Virtual Reality technology is 100% free-roam – meaning you move in virtual space exactly the way you do in physical space. More realistic and feels completely natural! And while our game involve movement and interaction, no special exertion or physical fitness is required. There is metered parking all up and down the street, which is typically very free during our operating hours. What if we're late or want to cancel? Give us a call and we will see what we can do! Because all of our slots are booked in advance, our ability to accommodate late arrivals is not guaranteed – for this reason, we also cannot offer refunds for cancellations. That said, if we are given at least 48 hours notice, we can try to reschedule your game. You bet’cha! We have a number of positions available, from staffed game operators to freelance promoters! Shoot us a message. As a new business, online reviews are hugely important to helping us grow – please take a minute to leave us an honest review on any (or all) of the sites below! © 2019 Chambers Escape Games. All Rights Reserved.